Nellibobs – a.k.a. Brian Nellist – is a busy man. When he’s not co-editing The Reader magazine, musing over the latest edition of Gardeners’ World, walking his beagle Argy or just making his way through a wealth of reading material, he can be found on YouTube with his special Friday Night Nellibobs videos, where he can be found pondering some of the greatest pieces of literature known to man (and indeed, woman). If you’re an avid fan of the Godfather of The Reader Organisation, you’re in luck as he is about to host his latest Short Course for Serious Readers in Birkenhead. Far Places will embark on a journey of discovery through classic and contemporary literature to celebrate wanderlust as well as a sense of rootedness. Far Places (Part 1) begins on Monday 29th September and runs every Monday from 10.30am-12.30pm at The Lauries Community Centre. The first part will focus especially on Homer’s Odyssey. Part 2 will be taking place in January 2015, discovering yet more great literature from authors including Shakespeare, Johnson, Graham Greene and Doris Lessing. Places on the course cost £65/£35 concessions (retired/student/unemployed/shared reading group member) – there’s a special 10% discount available if you sign up for both September and January courses at the same time. Quick as a flash, September has arrived once more – and though the changeable weather might make you think otherwise, it’s generally the month that signals the start of Autumn. There’s also the fact that the holiday season is coming to a close, with schools swiftly starting up again and universities preparing for their next terms. Though Summer may almost be over, we’re keeping its feelings going here at The Reader Organisation with the Short Courses for Serious Readers we have coming up this month in Liverpool and Birkenhead. 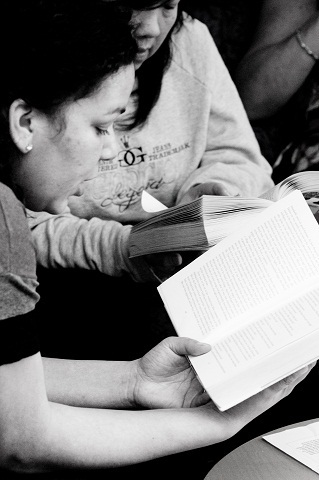 Far from being academic, our Short Courses for Serious Readers are specially designed for anyone who loves reading to enjoy getting to grips with texts that are a little more challenging in the company of fellow literature lovers. 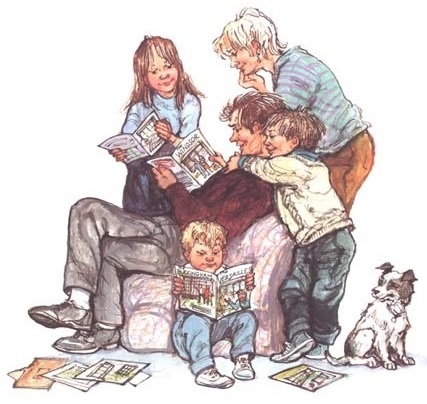 Over a day – or a number of weeks – we will enjoy great literature together, immersing into the texts and exploring together how reading good stuff can make us feel good too. There’s no need to do any homework – just turn up and be ready to discover. For those of us feeling rather frazzled by the prospect of old routines reoccuring once more – or perhaps are just missing out the chilled out holiday vibe – find an escape at Read to Re-charge on Saturday 20th September, 10am-4pm at Calderstones Mansion House. 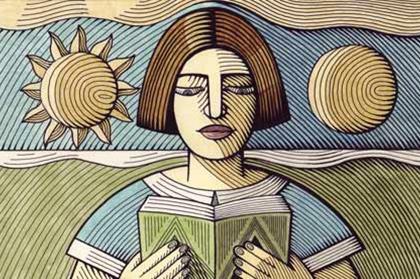 Reading is a relaxing business, and we’ll be sharing the pure luxury that comes from reading for pleasure so you can have a truly idyllic time. Perhaps you’re after a different pace altogether and are searching for a bit of adventure, but didn’t get the chance to jetset across the globe this summer (and let’s face it – round-the-world plane tickets aren’t cheap): you need look no further than our latest Short Course with Brian Nellist. Join The Reader magazine regular and Godfather of TRO to journey to some Far Places through some of the most classic works of literature. The first part of the two part course begins on Monday 29th September, 10.30am-12.30pm (every Monday for 10 weeks), with a special focus on Homer’s Odyssey. No need to go the extra mile when whole other worlds are at your fingertips. We usually associate Siegfried Sassoon with less serene verse as he was of course one of the leading poets – and participants – in the First World War. Hundred years on from the start of the time that history will never forget, we still remember the tragedies that were faced through the poetry of Sassoon and others, and though we couldn’t possibly conceive the unimaginable horrors that were faced, the verse that is left behind helps us to connect and ensure that the efforts of the brave men are forever remembered. 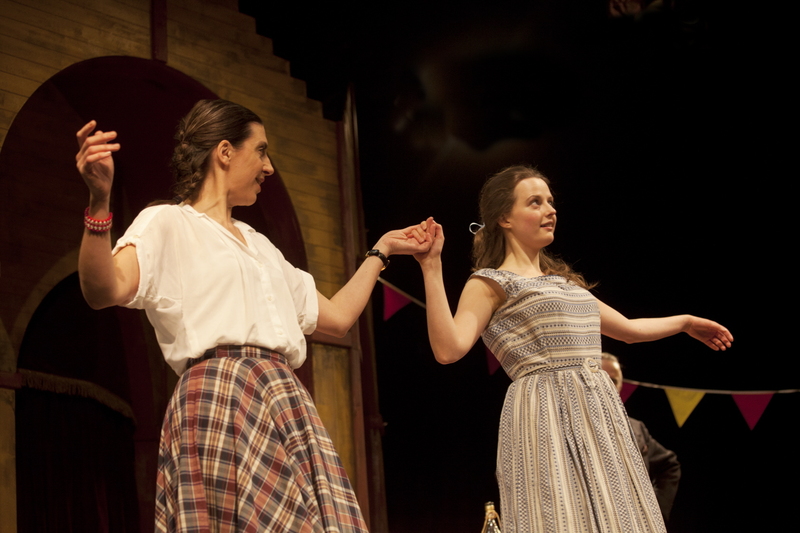 Much Ado About Nothing: Only two weeks to go! The countdown has now begun! The Globe on Tour is returning to Calderstones Mansion House this June for five remarkable performances of Much Ado About Nothing. Following last year’s showstopping version of King Lear, the Garden Theatre will once more be brought to life with one of Shakespeare’s liveliest and most well-loved comedies – all in less than two weeks time. 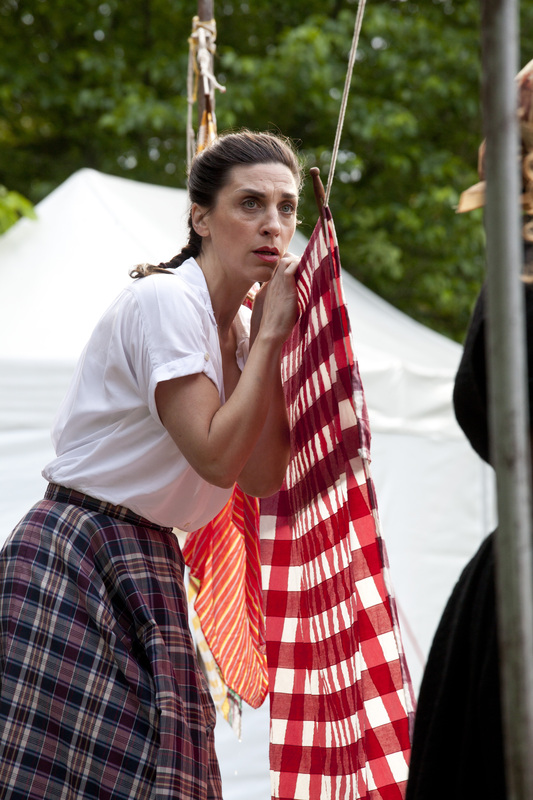 Driven along by a romance all the more charming for being in denial, Much Ado About Nothing is a miracle of comic and dramatic suspense and gives us, in the bantering Beatrice and Benedick, two of Shakespeare’s wittiest, most endearing pair of lovers. This spectacular performance is taking place in Calderstones Mansion House Garden Theatre, and will go ahead in all but the most extreme weather conditions. Audiences are advised to prepare for any weather conditions – waterproof and warm clothing should be packed as necessary – and please bring a seat or picnic blanket with you to ensure maximum comfort. A limited number of tickets may be available to purchase on the door for each performance – however, this will depend on demand. Access to the performance space will be via the back gate at the back of the Mansion House, off the main path opposite the Coach House. We will have TRO volunteers on the day directing you to the entrance. The Reader Café will be open until the start of the performance, we will also be serving light refreshments and ice creams at the interval. Please use public transport where possible as there is limited parking in the Calderstones Park car park. The park is served by bus numbers 61, 68, 168, 75, 75E, 76, 76A, 86D which will take you to Menlove Avenue. The Mansion House garden is only a short 5 minutes walk from the main road. If you want to see what Shakespeare out-of-doors looks like, take a sneak peek at some exclusive photographs from the performances of the show from Brighton Festival last week. They’re up on our Facebook page now – and we promise very few spoilers. Much Ado About Nothing: Read the Play in a Day! Does the idea of reading Shakespeare leave you feeling shaky? Read some plays before, but you’re a bit rusty? New to Much Ado about Nothing? Need a refresher before Shakespeare’s Globe’s performances at Calderstones Mansion on 12th-14th June? Come join us for a rip-roaring, confidence-boosting, all-embracing ‘Play in a Day’ Saturday. Led by The Reader Organisation’s Founder and Director, Jane Davis, and a team of our Shakespeare-loving staff, we’ll take over Calderstones Mansion together reading Much Ado About Nothing. And you never know, with your new-found confidence, you may even feel inspired to tread the boards yourself before the day is through! No advance reading required. All-ages, backgrounds, experience with Shakespeare welcome! For more information or to book your place contact Jenny Kelly at jenniferkelly@thereader.org.uk or 0151 207 7207. Author LisaPosted on 30th May 2014 Categories Cafe, Calderstones, Classics, Courses, Events, Liverpool, Merseyside, News, North West, Reading for pleasure, Shared Reading, Short Courses for Serious Readers, The Reader, Theatre, UncategorisedTags Calderstones Mansion House, Much Ado About Nothing, Shakespeare, Shakespeare's Globe, The Globe on Tour, William ShakespeareLeave a comment on Much Ado About Nothing: Only two weeks to go! It is the start of Shakespeare season here at The Reader Organisation! You may have heard about the exciting arrival of Shakespeare’s Globe to The Garden Theatre at Calderstones in June (all information can be found on our Events page here), but to kick things off we present our next Short Course for Serious Readers, ‘Shakespeare and… Assertiveness’. We know reading Shakespeare can enrich our lives in so many ways, but have you ever turned to the Bard for guidance on particular behaviours, attitudes and skills that can be put to use in contemporary work and life? In this first instalment of our ‘Shakespeare and…’ series of short courses, Casi and Grace will lead you through different models of assertiveness as presented in Shakespeare’s work, and consider ways in which we can put this to practical use in our own lives. Nervous about reading Shakespeare? Be bold and join us! No prior knowledge of Shakespeare’s work is needed. Some prepatory reading will be sent in advance, including extracts from As You Like It, Twelfth Night, and The Winter’s Tale. The course will run from 10am-4pm and lunch plus all copies of the texts will be provided. Short Courses for Serious Readers are for anyone who loves shared reading and getting a grip on great literature with like-minded company. Led by some brilliant readers, thinkers and teachers, these courses enable you to take a break from life for a while to immerse yourself in great literature. Places on the course cost £30; £15 concessions. To get more information about Shakespeare and… Assertiveness visit our website. To book your place contact Literary Learning Coordinator Jenny Kelly on jenniferkelly@thereader.org.uk or call 0151 207 7207. Ahead of the shows, we’re running an extra special Short Course giving you the chance to get to grips with the play before you get to see it live. Join us on Saturday 7th June at Calderstones for a rip-roaring, confidence-boosting, all-embracing ‘Play in a Day’ where you can truly enjoy one of Shakespeare’s liveliest comedies inside out. Led by The Reader Organisation’s Founder and Director, Jane Davis, and a team of our Shakespeare-loving staff, we’ll be taking over Calderstones Mansion to read Much Ado together. And you never know, with your new-found confidence, you may even feel inspired to tread the boards yourself before the day is through! No advance reading or prior knowledge of the play is required, and all ages are welcome. Places on the course cost £30/£15 concessions (including lunch), with a special offer of a 10% discount if you bring along a friend who hasn’t attended one of our Short Courses before. Please reference the name of your friend when making your booking. To book your place, please contact Literary Learning Coordinator Jenny Kelly on jenniferkelly@thereader.org.uk or call 0151 207 7207. Author LisaPosted on 2nd May 2014 Categories Calderstones, Courses, Jane's Day, Liverpool, Merseyside, North West, Reading for pleasure, Shared Reading, Short Courses for Serious Readers, The Reader, UncategorisedTags Shakespeare, William ShakespeareLeave a comment on Much Ado About Nothing: Read the Play in a Day! Last week saw the start of Brian Nellist’s 6 week course ‘What Do You Think?’ which is being held at The Lauries Centre in Birkenhead. Readers have begun to explore stories where the ending is contradictory or unsettled, and doesn’t offer closure. Endings to stories like these often play on our mind long after we have read them, and start to make us reflect on our own surroundings and reality. Have you had any moments of reflection over the Easter weekend? Perhaps you have been inspired over the bank holiday to delve into some classic literature you have always been meaning to read. Why not extend this interest by booking onto ‘What Do You Think?’ – it is not too late! Join Brian for our latest Short Course for Serious Readers and explore stories by Chekhov, James Joyce, Katherine Mansfield and many more fantastic authors. The course starts again on Monday 28th April and runs for 4 more weeks after that on the 12th and 19th May, and the 2nd and 9th of June. The sessions run on Monday mornings from 10.30 am – 12.30 pm, and all texts plus refreshments are provided. Short Courses for Serious Readers are for anyone who loves shared reading and getting a grip on great literature with like-minded company. Led by some brilliant readers, thinkers and teachers, these courses enable you to take a break from life for a while to immerse yourself in great literature. Brian’s courses on a Monday morning will allow you to regularly join together with a group, reading and feeling good in turn. Places on the course cost £45 ; £25 concessions. For more information on ‘What Do You Think?’ visit our website. You can book your place by contacting Literary Learning Coordinator Jenny Kelly on jenniferkelly@thereader.org.uk or by calling 0151 207 7207. Now we are in April and the clocks have turned back, we are well and truly stepping into Spring. We have a whole host of Short Courses lined up in the next few months, where you can spend time reading together as a group in the beautiful surroundings of Calderstones Park. Come join your guide Esther Harsh at the end of the month on a journey through meaningful moments of family feeling in literature. Esther is a student studying in the Reading in Practice MA program at University of Liverpool, researching family feeling in Victorian literature. Together you will be reading passages from great Victorian works, including Silas Marner by George Eliot, David Copperfield by Charles Dickens and other works by Elizabeth Gaskell and William Wordsworth. To get more information on Family Matters visit our website. You can book your place by contacting Literary Learning Coordinator Jenny Kelly on jenniferkelly@thereader.org.uk or by calling 0151 207 7207. As part of our Short Course programme this Spring we invite you to consider ‘What Do You Think?’ with Brian Nellist – godfather of the Reader Organisation and inspiration to Merseyside readers for many years. After watching a play on the box my uncle Arthur used to grumble “They never finish anything properly nowadays”. It made me realise that modern stories rarely offer closure and often leave endings open to the reader. Such stories are told to prompt reflection rather than to offer settled conclusions, and so they begin to make us question how we respond to reality. When we are then confronted by actual people, situations and events we often have varied and contradictory responses. It’s arguably Chekhov who began to write these novels which led the reader up the garden path and then left them perplexed by the end. Brian will be exploring this notion of unsettled endings whilst reading stories by Chekhov himself, James Joyce, Katherine Mansfield, Lawrence, Doris Lessing and William Trevor. The course will run at the Lauries Centre in Birkenhead on Monday mornings at 10.30-12.30. With Easter running late and other bank holidays during this period the sessions will be running on the following dates – April 14th and 28th, May 12th and 19th and June 2nd and 9th. All copies of the texts as well as refreshments and good company will be provided. Places on the course cost £45 for the 6 sessions; £25 concessions. For more information on What Do You Think? visit our website. You can book your place by contacting Literary Learning Coordinator Jenny Kelly on jenniferkelly@thereader.org.uk or by calling 0151 207 7207. Author HarrietPosted on 4th April 2014 Categories Books, Courses, Events, Fiction, Merseyside, Shared Reading, Short Courses for Serious Readers, The Reader, Uncategorised, WirralLeave a comment on What Do You Think? Experiencing a crossroads in your life, or have you gone off track and struggling to find your way? Perhaps you’re still seeking the new start you had promised yourself at the beginning of the year? Our latest Short Course for Serious Readers will take you on a journey through life and what is considered one of the greatest works of literature: The Divine Comedy by Dante. Written in the 14th Century, The Divine Comedy is composed of over 14,000 lines in three canticas, charting Dante’s voyage of discovery through the three kingdoms: Hell (Inferno), Purgatory (Purgatorio) and Heaven (Paradiso). Through this imaginary journey to determine the situation of human souls after death, an autobiographical element emerges – at the age of 36, Dante was forced into exile from Florence and spent the rest of his life on the road, dependent on the generosity of others and his writing. The Divine Comedy begins on the night before Good Friday in the year 1300 when Dante is 35 – half of the life expectancy outlined in the Bible, and so ‘halfway along the road’. Lost in a dark wood, surrounded by beasts and unable to find the right way – it’s a situation that while perhaps not as extreme many of us will have contended with at some point in our lives, and you may be surprised to know how lines written over 700 years ago can speak to our fundamental human responses and emotions in the modern day. This March we will be treading Dante’s path by joining Founder and Director of The Reader Organisation, Jane Davis, as she leads us through The Divine Comedy. With fellow travellers at your side throughout the day there’s no need to feel daunted but daring instead, reading lines that are centuries old together and discovering that they’re full of feelings that we recognise. Edit: This course is now fully booked. Attendees can prepare for the adventure of reading Dante by picking up a copy of C.H. Sissons translation of the text in the Worlds Classics Series (Oxford University Press), which we’ll be referring to in the Short Course. Copies of the book can be bought through The Reader Organisation’s Amazon Bookshop, with a percentage of the purchase price supporting our outreach work. For more information on The Divine Comedy for Beginners or the Bewildered, visit our website.